Volunteer Deepak Valsaraj with the victims at Pattukotai. Fertile lands, adorned with lush paddy and coconut trees — this is the picture that would flash before my eyes at the very thought of the Cauvery Delta districts in Tamil Nadu. But after I saw the impact of Cyclone Gaja’s wrath on these districts, the scene has changed completely. Uprooted trees and structures, damaged crops and inaccessible roads — the aftermath of the cyclone has changed the geography of the delta, leaving thousands of citizens homeless. 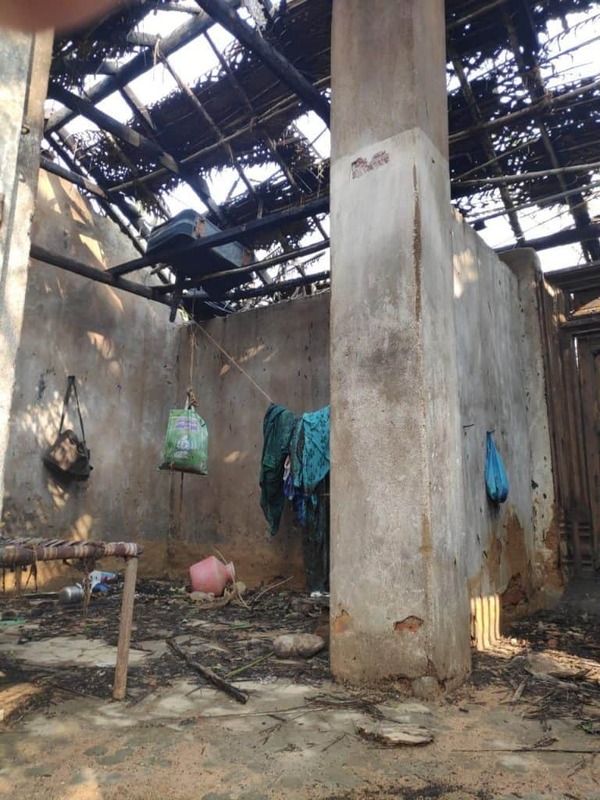 Cyclone Gaja swirled through Vedaranyam on November 16th, leaving the districts of Tiruvarur, Nagapattinam, Thanjavur, Pudukottai, Tiruchy and Dindigul in disarray. In a matter of days, agriculturists who were contributing to the state’s food supply, have been reduced to begging on the roads. We set out to Delta from Chennai on November 22nd , almost a week after Cyclone Gaja ravaged the districts. 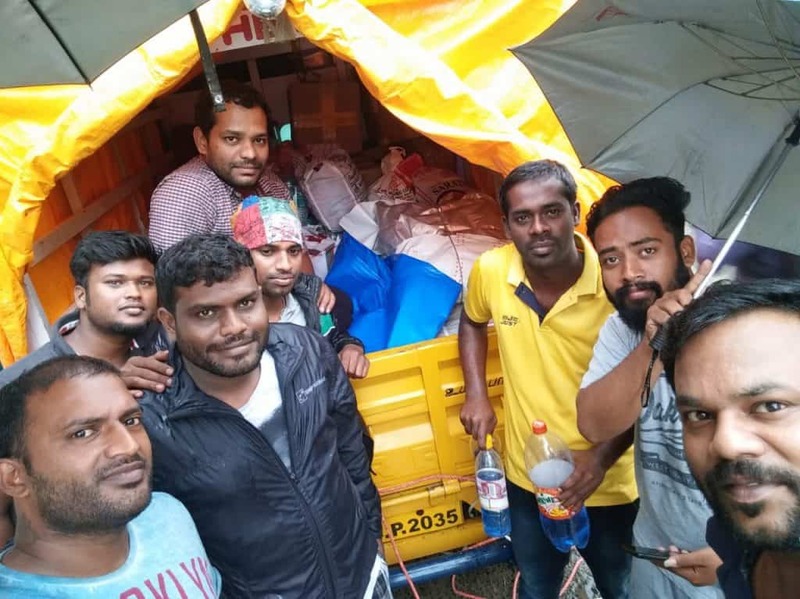 Having pooled money (a sum of Rs 60,000) from friends and acquaintances, we, a group of six friends bought essentials such as tarpaulins, rice bags, medicines, lamps and the like. There were doctors who gave medicines for free and citizens who donated their old clothes. Volunteers from Chennai set out for Cauvery delta districts in Tamil Nadu with the relief material. Technology proved to be a great boon, as instant money transfers enabled us to help a lot more. However, social media posts seeking funds was not effective, except for a few likes and shares. Eventually, it was the friends that had our trust, who contributed to the cause. The spread of word actually mattered. Since a lot of organisations and political parties were supplying rice bags, we focussed a lot on tarpaulin sheets. The roof of the petrol bunk at Tiruvarur, one of the affected regions, was swept away and a giant tamarind tree which I assume to be at least 200-year-old was uprooted. But this was just the tip of the iceberg and the worst is to come. The wide state highway connecting to Nagur is filled with homeless people, stopping every vehicle that passes through, to ask for food. Victims stand there even at 11 pm; every family member takes turns to be stationed on the roads, looking for food. Their desperation drives them to looting, as they are seen forcefully plucking food items from the trucks. Can they be blamed? No. It is their anger against the state government that is bringing out the worst in them. Families were famished, as they have received little help due to inaccessibility — roads were under water with uprooted trees all over. Our relief was enough to comfort 50 families for a while, leaving others high and dry. Not believing that our truck was empty, they inspected the vehicle in the hope of finding something. We connected with other organisations to ensure they received help later. How will it affect Chennai? Chennai, having been fortunately spared by nature, could be completely cut off from the flood situation, but in no time, the aftermath would be felt. “Chennai receives 22% of its salt and 7 loads of tender coconut (20,000 pieces per load) every day from these districts,” said A P Ravindran, District Convener of the Tamil Nadu Farmers Association. With 55 lakh coconut trees over 30,100 hectares crashing down (as announced by the Chief Minister Edappadi K Palaniswami), the cost of a tender coconut, which is usually between Rs 30 and Rs 60, is expected to double. It is also obvious that the cost of coconuts and coconut oil would increase. Expect a rise in pepper and coffee prices as well, as the plantations in Kodaikanal were hit during the cyclone. However, as groundwater levels have improved, we can expect a spurt in rice productivity in the delta region three times over — the only silver lining, perhaps, in this time of deep distress. Is the Delta being ignored? Mainstream media, that often exaggerates the reportage on such calamities, underplayed the damage caused by cyclone Gaja in the delta districts. Only when we reached the cyclone-affected regions did we realise the magnitude of the damage. There have been very few camps organised by the government, very few trucks reaching the affected regions. 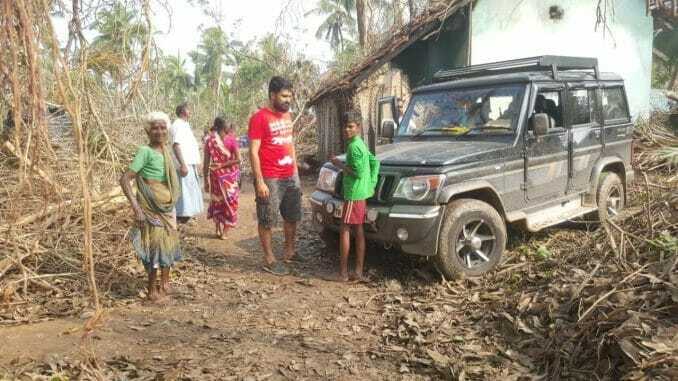 The response from citizens has also been scant, compared to what was witnessed post the Kerala and Chennai floods, according to Deepak Valsaraj, a volunteer friend. Deepak has been witness to the ground situation in all the three natural disasters, and is currently helping out the victims in Pudukottai district. “In many regions, it is the organisations that cleared the paths to access. People were stuck for days together. Basic amenities such as restrooms are a miss,” says Deepak. More than 90 percent of the houses in the delta region are thatched, the reason why the gusty winds have left residents homeless. There has been very little effort so far from the government that would help them rebuild their lives. Data about the funds received and spent on the victims of Cyclone Gaja is yet to be released by the government. Neither has the Tamil Nadu government come up with a comprehensive plan, explaining how these citizens would be rehabilitated. Naren M V is a Chennai-based entrepreneur, who is also interested in social work.